On August 30, 2013, the world lost a man who was arguably the greatest living poet of the English language. 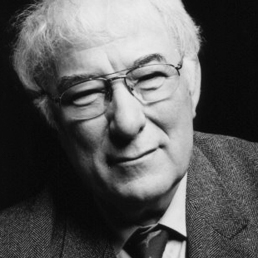 Seamus Heaney was 74 years old, and he had won nearly every major English poetry prize in existence, including the T.S. 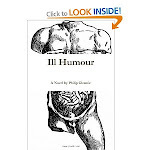 Eliot Prize (2006), The Nobel Prize in Literature (1995), and the E.M. Forster Award (1975). By critics and popular readers alike, Heaney is recognized today as the greatest Irish poet since W.B. Yeats, and there are even many (like myself) who consider his work better than Yeats’. During his remarkable life, Heaney’s words impacted the cultural landscape of Ireland in a way that hearkens back to medieval times, when the country was governed by priests and poets. Yet beneath the hype and poorly concealed envy that followed Heaney throughout his life, his poetry retained a much more elemental significance. Tomorrow, Seamus Heaney will be buried in his home village of Bellaghy. It is impossible to know where Heaney is now; but what we do know is that it’s time for a new generation of poets to grab their pens and start digging. it's really sad and unfortunate to hear that! people like him never die, they just fade away in time as the land engulf them, leaving behind trail of marks for us to learn from! The business is the field that is bound to take you to some other places so traveling for the sake of business is pretty common.